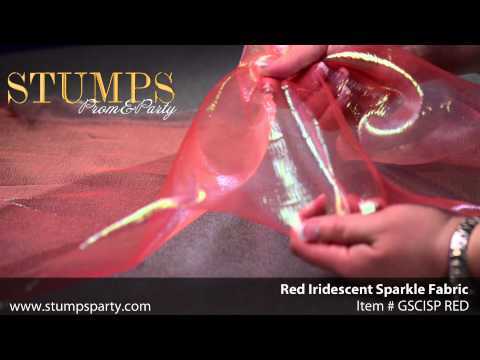 Drape this Red Iridescent Fabric from the ceiling and add spectacular flair to your event! This Red Iridescent Sparkle Fabric adds bold color with a sparkling twist to your event no matter how you choose to use it. Each roll of Red Iridescent Fabric is made of polyester and nylon and measures 41" wide x 10 yards long. This fabric cannot be washed.